Cameos include highly collectible pieces carved in the master craft centers of Germany and Italy. 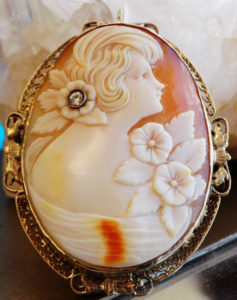 We have over 100 unique cameos that include antique, vintage and contemporary mountings of pendants, brooches and rings. 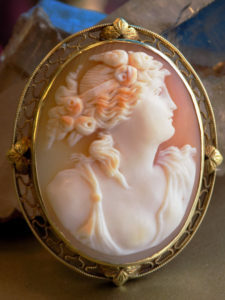 Our cameo collection draws customers from this region and beyond; described as breathtaking and of unusual beauty.